You are invited to take part in Chelmsford’s first ever magical Parade of Light, brought to life through a record-breaking local crowd-funding campaign! The event will bring communities together to walk peacefully through the city centre in remembrance with beautiful hand-crafted lanterns and floats. Why not make your own lantern by following a video tutorial on the Ideas Festival website? 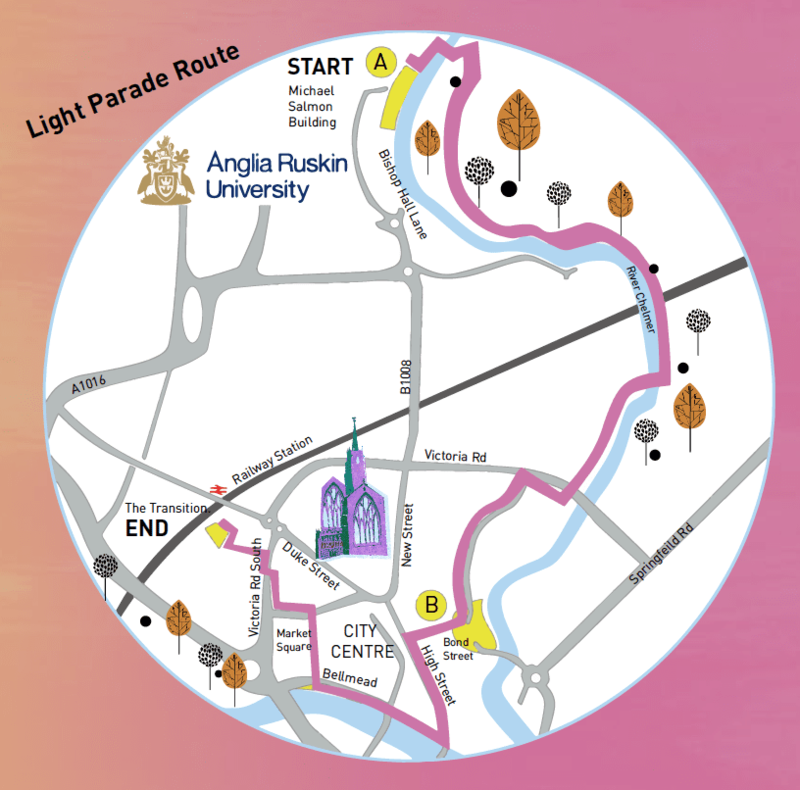 Or just come along to Anglia Ruskin University, Michael Salmon Building, at 18:00 to join the parade through the city. This event is held in partnership with the Cathedral Youth Club and Chelmsford Hindu Society. Free parking is available at ARU on a first come first serve basis. Yellow A and B are two starting points – Arrive at A by 18:00 for a 19:00 start (we have some entertainment planned while we wait). Arrive at point B by 19:00 we should reach point B by at least 19:30. Creative Workshops for young people! Technology merges with Arts and Crafts during this set of exciting workshops for young people! On the 11th November, the whole community will get together and parade a river of lit lanterns and floats throughout the streets of Chelmsford. We are going to eliminate the darkness and create a magical Light Parade which symbolizes Peace. These workshops are for young people in particular 7 – 18-year-olds’ to meet up over seven Friday’s to build and create the floats and lanterns. The young people will work with tech, electronic and creative specialists to build the parade’s items. The Parade is on Sunday 11th of November. Parents, friends and all are welcome to join us. 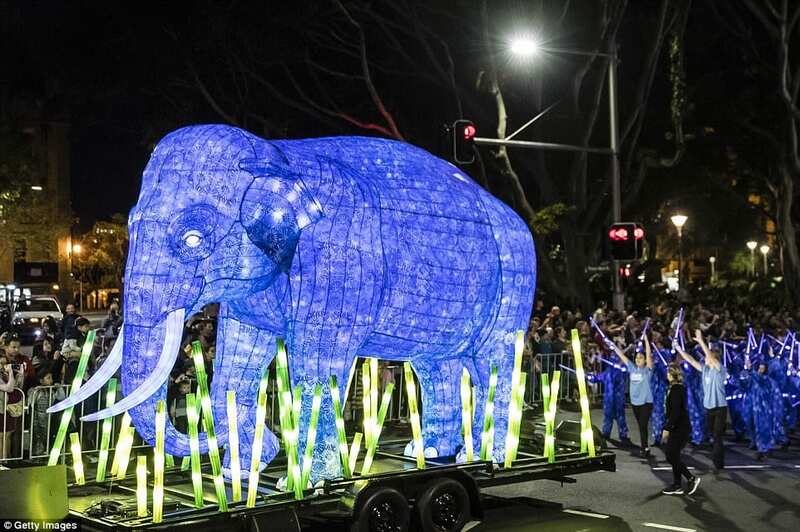 Come along and watch the spectacular Light Parade on the 11th November. We’ll be parading through the High Street with lanterns of all shapes and sizes. Our route in Central Chelmsford: Bond Street – to High Street – to Stone bridge – to Bellmead Meadow – to Market Square – to Central Library – to the Transition. We expect to enter Bond Street at 19:20 – 19:30 pm depending on our departure time. Come and watch and join us at our end point at the Transition where you’ll be able to buy some yummy food, warm up and socialize with the community. Create a Lantern or float on the theme of Peace and enter the competition. To enter arrive at 6 pm on the date of the festival a Volunteer will register your attendance and ask if you are entering the competition. Then a mystery Artist will access the lanterns and award the prize at the end of the parade. Please note no naked flame can be used in the lanterns – only LED lights. Please note that lanterns and floats should be able to be carried and the route includes steps crossing a River. You can collect materials for your lantern we have a limited supply of willow buff which can be cut and used to create a form. If you soak the willow (1 hour soaking per foot of willow – we have lengths of 5 and 8-foot willow) you will be able to bend and create great curvey shapes. We also have a limited supply of LED copper wire battery lights which are lightweight. You can collect materials for this at the Ideas Hub Chelmsford. Between 10 am to 3 pm Mon to Saturday. No age limit on competition we encourage families to create something Magical!